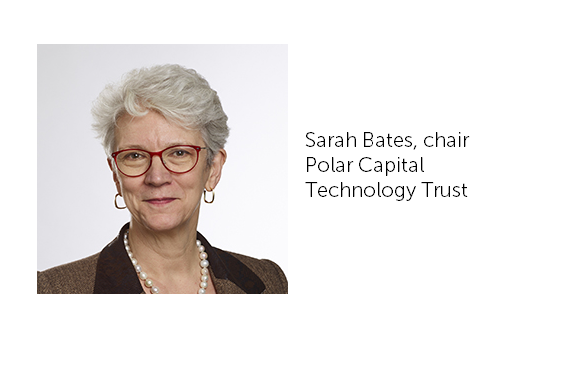 Polar Capital Technology amends fees – Polar Capital Technology’s board has decided to amend its management fee to reflect the growth of the fund, strong performance in both absolute and relative terms, and in light of the impact of MiFID II with regard to contributions to research costs. Going forward, the trust will no longer make any contribution to research costs; will pay less in marketing costs, introduce a new tier of lower fees and change its performance fee. The current base management fee is 1% of the NAV up to GBP800m and above GBP800m the base fee reduces to 0.85%. On 1 January 2018, a temporary third tier management fee of 0.80% on assets over GBP1.7bn was introduced. a cap on the performance fee of 2% of NAV in any one year. As it stands, no performance fee can be paid out, or credit taken for outperformance, in a year when the NAV has fallen, or the Adjusted NAV does not exceed a previous high water mark. The Bb is keen to realign the performance fee to provide an incentive to outperform in falling markets, as well as to outperform in rising ones, and to make sure the manager does not lose that incentive in more difficult times. The board therefore believes that the outperformance fee should be capable of being recognised in falling markets as well as in rising markets, thereby potentially rewarding the manager for reducing risk. However, no performance fee will be paid out unless the previous high water mark conditions are met. The manager pays all research costs from 1 January 2019. In the calendar year 2018, such costs in aggregate were approximately GBP447,000. The performance fee participation rate is reduced from 15% of outperformance to 10%. The cap on the amount which can be paid out in any one year is reduced from 2% to 1%. The tiering arrangements for the base management fee will be altered with effect from 1 May 2019. It has been agreed to lower the threshold for, and give permanent effect to, the third tier to GBP1.6bn, and to introduce a fourth tier charged at 0.70% on NAV above GBP2bn. The manager has also agreed to contribute GBP100,000 per annum to external marketing costs. The notice period of 12 months and other key terms remain unchanged. The changes to the management fee, performance fee and marketing costs will become effective from 1 May 2019. The board will continue to keep all of its costs, including management fees, under review.